These are some of the other types of canopies available as well as up custom designs or re-clothing of existing frames. 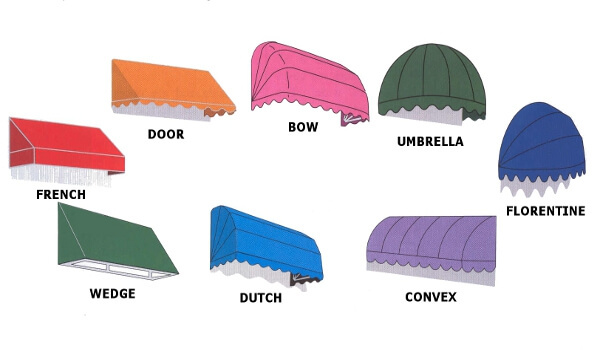 Where a specific type of canopy or hood is desired or an architecturally designed one is required for a shop or building. Suitable for aesthetic canopies or ones providing protection from Melbourne’s weather. Also where a permanent frame canopy needs to be renewed. 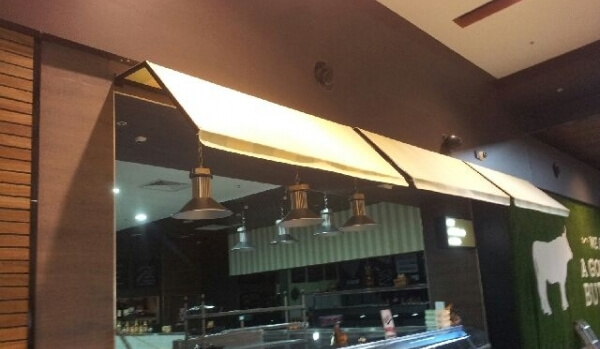 All the canopies and hoods are available in different widths and projections. Different fixing methods are also available depending on your specific requirements. 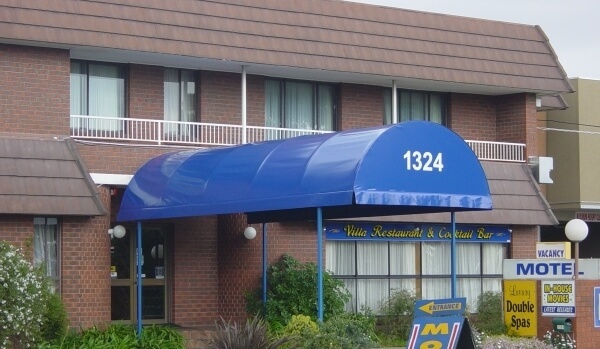 All our Canopies and Hoods are made from welded heavy duty aluminium frames and re-inforced for added strength. Custom made here in Melbourne and backed with a 5 Year warranty. Re-clothing of existing frames. Different style valances. Large choice of leading fabrics and colours.